We are the world’s oldest bookmaker, and with that experience, we have learnt to centre our business around providing genuine value to our customers. 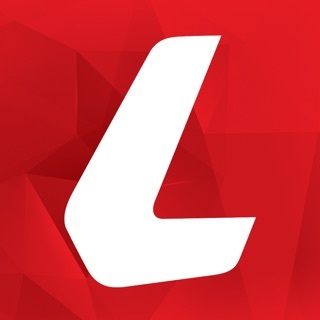 Having designed our App to for first-time punters right up to the most experienced, Ladbrokes provides the easiest and fastest service available today. · MULTIVERSE – Combine your racing selections with one or more same game multi across multiple events, sports and bet types. · QUICKBET – Place any bet in 3 simple steps. · INFOHUB – All your racing form in one place, with featured bets, flucs, speedmaps & more. · LIVE RACING – Stream all Victorian Thoroughbred Races live and cheer your winner home. · MULTIVERSE – Build your ultimate multi by combining one or more same game multis across multiple events and bet types with regular racing or sports selections. · SAME GAME MULTI – Place a Multi Bet using a combination of legs from the same AFL or NRL match. · LIVE STREAMING – All of your favourite sporting and racing action and more, live on your device. · LADBROKES CARD – Withdraw your winnings instantly at any ATM with your own Ladbrokes Visa card. All the AFL, NRL, EPL, NBA, NBL, NFL, MLB, A-League, Super Rugby and Big Bash action, as well as thousands of different sports betting and novelty markets available every single day. If you want to bet on the latest season of The Bachelor, US politics, the UFC or much, much more then you’ve come to the right place. By downloading you are registered with Ladbrokes. T&Cs available at Ladbrokes.com.au. * Recreational customers only. Minimum 1 odds boost available per day on certain bet types. Multis $100 max bet and dividend limits apply. Exotics $200 max bet per combination. Promotional T&Cs apply and available on website. * Promotional T&Cs apply and available on website. * Cash In is a cash deposit service not a wagering service. Deposits must be made to your Ladbrokes account. Transaction limits apply. This release includes under-the-hood fixes and improvements to the Ladbrokes experience. We value your feedback, please reach out to support@ladbrokes.com.au for 24/7 assistance. Nichola was extremely helpful, even during my frustrated rant. Everyone else gave me completely conflicting instructions. Long story short, you can deposit money into your Ladbrokes account - no questions. But getting YOUR money back out?? Near impossible!! I was required to verify credit cards that had been previously stolen, call banks, wait business days for statements, all to get my OWN money. But when I wanted to put money into my account, no questions asked, even when the card wasn’t in my name (my wife’s), just happily took the money. Fair enough the security system needs to be strict to avoid fraudulent activity, but the lengths to get winnings out of ladbrokes into bank accounts just proves everything. Any one would have cracked it and not bothered trying like I had to, and ended up spending the money on more bets. 6 phone calls, 6 differing lots of information later, I finally have my winnings withdrawn. Good luck to anyone else, more chance of getting a quadi up than successfully getting your money. I’ve used quite a few betting agencies, apps and sites in the past, some being quite hit and miss and unreliable with poor customer support. I have been a long time account holder and promoter of Ladbrokes to friends and family. Got my 2 best mates to open accounts on Friday before Derby Day and with the useless app yesterday (Melb Cup) making it impossible to bet, find that they were given apologies by text as I was with a bonus bet but mine was $30 and theirs was $50. When I called Ladbrokes to ask as to why they got $50 and I got $30 was told this is based on betting amounts, well I could not bet on Cup day during the meeting so used Bet Easy, so how could it be based on anything!!! The young guy I spoke to corrected the bonus bet and made it $50 but that is not my point. My point was looking after loyal clients and that has not happened and I feel very let down. Shame on you Ladbrokes, you will need to do better than that to stop me from leaving !! !